People without insurance have a significantly higher chance of dying from unnatural causes than those who do have coverage. 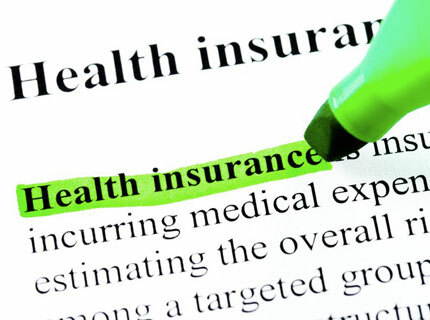 You can easily reduce the cost of health insurance by increasing your deductible or by combining various insurance plans into one convenient package. Research health insurance providers online to determine which one offers the most cost-effective plan. Health Insurance - The Best Quotes? With medical expenses rising every day, health insurance has never been more important. More and more people are forced to declare bankruptcy due to the cost of an emergency surgery, and more hospitals every day are refusing to help those who don’t have insurance. Obviously, getting health insurance is important. What can you do to receive the best possible plan? Above all, you want your plan to adequately cover any possible medical expenses you could incur in the future. However, balancing this coverage with a manageable monthly payment can be difficult. For those who are currently uninsured, adding another large bill onto a budget can seem daunting. Keep in mind that you can’t put a price on health, and that there are certain ways to reduce the cost of insurance. Refraining from smoking and using tobacco can significantly reduce your health insurance rates, as smokers have been shown to have a much higher risk of various diseases. Furthermore, by eliminating coverage that you don’t need, you can reduce the amount you pay without negatively impacting your future health. And, just like any insurance plan, by raising your deductible, you can dramatically reduce your monthly payment. It is equally as important to research the quality of the health insurance agency that you choose. By doing a quick online search for any complaints about the company, you can compile an accurate ranking of which companies value customer service the most. At the same time, you can see which companies charge an unnecessarily high price for their services, and which companies cater to people who appreciate discounts. Ultimately, your personal health should be worth more to you than the amount of money that you make. However, crippling yourself by paying for a maximum coverage plan isn’t necessary either. Why not simply find a satisfactory middle ground between both cost and effectiveness? In 2007, nearly 50 million Americans did not have health insurance. The number of people who are underinsured has grown 60 percent to 25 million over the past four years. Get health insurance information delivered directly to your inbox.